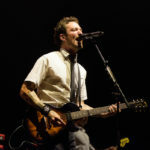 Formerly of band Million Dead, Frank Turner is a folk-punk singer-songwriter. 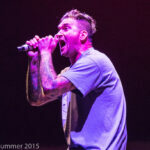 He released his first solo album “Sleep Is For The Week” in 2007 and tours with the band The Sleeping Souls. 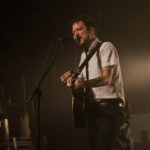 Frank Turner: Metro Radio Arena, Newcastle – live review"
A stellar performance from the brilliant Frank Turner who blew away a packed crowd at the Metro Radio Arena. 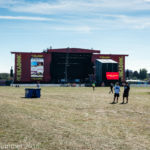 Reading Festival – live review"
Frank Turner: Mouth of the Tyne – live review"
Frank Turner takes the roof off the all seated Whitley Bay Playhouse with an incendiary set, one of the best shows we’ve seen in a very long time. 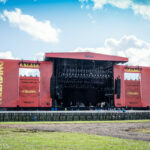 New Found Glory – Reading Festival – live review and interview"
Reading Festival: Reading, Berkshire – live review"